Baseline. This simple compound word can mean a lot when it comes to good health. By definition, it means a starting point used for comparisons. Therefore, having those baseline “numbers” can help physicians diagnose changes or on-the-horizon situations that can be better understood when they have something to compare it to. 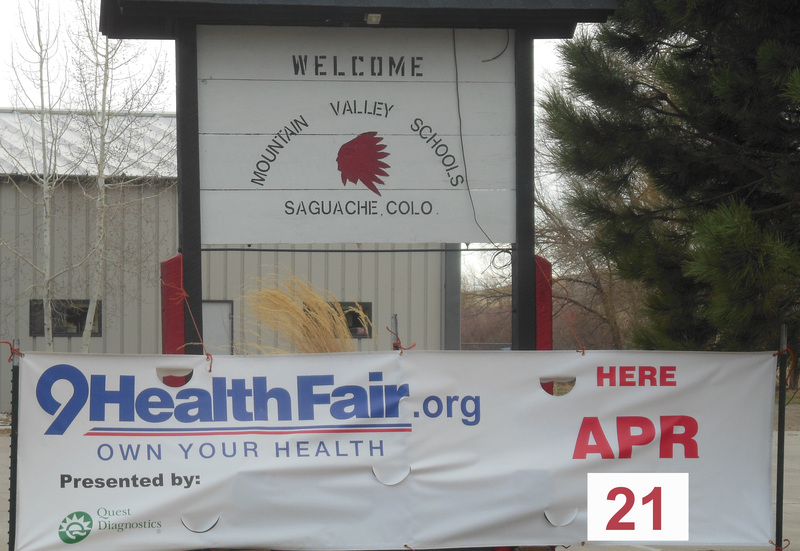 That’s just one of the many reasons you should plan on attending the Saguache 9Health Fair to be held on Saturday, April 21 from 7:30 – 11:30 a.m. – noon at Mountain Valley School in Saguache. These low-cost and FREE medicals services and testing provide you with baseline numbers that can help you navigate the path to good health. So whether you’re young or young-at-heart, consider taking advantage of these in-town medical screeings. Plus, it’s all coordinated by friendly, familiar professionals from just down the block or the next town over. See you at the fair! For more information call (303)-698-3799 or 1-800- 332-3078 or log onto the Saguache 9Health Fair web page. This entry was posted in Uncategorized and tagged 9Health Fair Saguache, Saguache, Saguache Colorado, Saguache County, Saguache events, Saguache information, Saguache news, Saguache Today, Saguache traffic, Saguache weather, SaguacheToday.com. Bookmark the permalink.